The lead negotiator for the chiefs of Indigenous communities closest to the Ring of Fire says they're still waiting to hear back from the provincial government about how negotiations will look going forward. The lead negotiator for the chiefs of Indigenous communities closest to the Ring of Fire says they're still waiting to hear back from the provincial government about how talks will look going forward. "We're ready to move ahead with discussions on the key elements of the regional framework which has been agreed to," Rae said. "We're ready to sit down with the province and the federal government whenever they're ready to respond." "The regional framework did call for a process that would get us to understandings on the environmental assessment process, on a community benefit fund ... and to deal with infrastructure questions going forward as well as with issues around revenue sharing," Rae continued. The Ford government hasn't said much about how talks between the nine Matawa First Nations and the province will look going forward since taking office in June. The chiefs sent a letter of congratulations to the new government over the summer, which the office of Premier Doug Ford responded to on Aug. 9, saying that Indigenous Affairs Minister Greg Rickford would respond "as soon as possible." That hasn't yet happened, Rae said, although he added that there has been communication "at the staff level." The appointment of Frank Iacobucci, the chief negotiator for the province brought in under the previous Liberal government was also not renewed by the PCs, with the retired Supreme Court judge stepping aside over the summer. That's all led to charges by the opposition NDP that consultation on the Ring of Fire has "stalled." 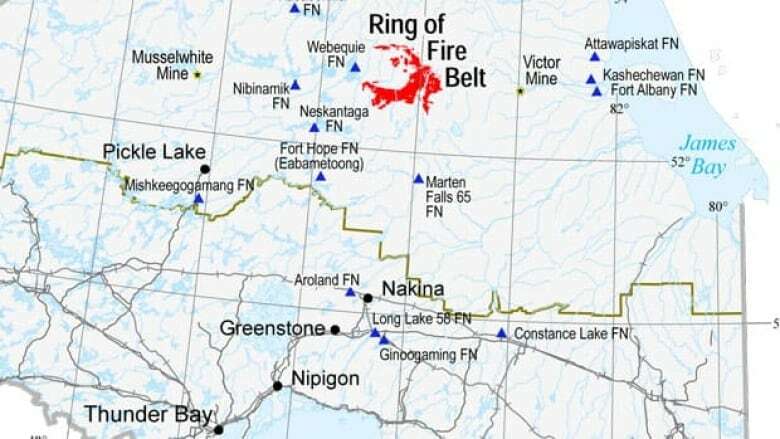 Natural Resources and Forestry Minister Jeff Yurek responded to those charges in September, saying at Queen's Park that the Ring of Fire "has been stagnant" over the previous 15 years due to lack of consultation. Rae and Rickford's office both told CBC News that the regional framework agreement itself remains in place. "The Ontario government is committed to working with First Nations in the Ring of Fire area to ensure they have the opportunity to shape and provide input into how the development moves forward," said a statement from Rickford's office to CBC News in October. "The Regional Framework Agreement remains in place and Ontario is doing the work needed to unlock the potential in the Ring of Fire — for the benefit of First Nations and all people in Ontario." The Ring of Fire in northern Ontario. Rickford's press secretary said on Wednesday — in response to questions about whether the minister has had discussions with the Matawa chiefs and the future of provincial funding — that there was no new information but more is expected soon. For his part, Rae said he doesn't "make a judgement on that at all," when asked if he was surprised by the lack of contact from Ontario. "The government has a lot on its plate at the beginning." "We are, however, willing to engage." 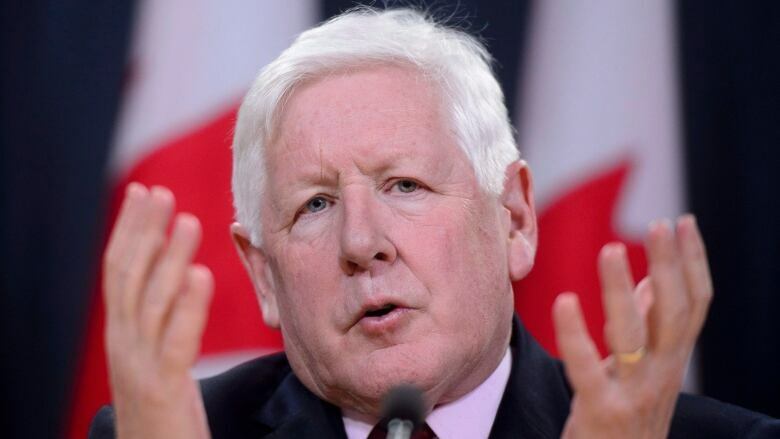 Rae said talks have also ramped up with the federal government — including prior to the June election in Ontario — with Ottawa being responsible for things like conditions on-reserve and the environment. "Ottawa always should have been involved," he said. "This is a shared jurisdiction issue." The uncertainty going forward comes at a time when some of the Matawa communities are expressing concern with the existing framework. Back in June, Neskantaga and Eabametoong slammed the previous Wynne government for how the regional talks were moving ahead, calling them unreasonable and unfair and accusing the province of engaging in a "closed-door" process with respect to environmental assessments undertaken by Marten Falls and Webequie. Those communities denied anything was agreed to behind closed doors. "There's still a lot of issues to be talked about," Rae said. The chiefs of Neskantaga and Eabametoong are scheduled to be in Toronto Friday for a fundraising and awareness-raising event done in collaboration with the Yellowhead Institute — a First Nations-led think tank. "We're basically trying to raise awareness of the struggle of these two communities in the far north to get the province to recognize their jurisdiction over their lands and territories," said Dayna Nadine Scott, an associate professor at Osgoode Hall and York University's faculty of environmental studies, and who is a co-organizer of the event. "They really feel it should be more of a regional approach."